Johnson thrives at corner with his elite quickness and change of direction. He displays excellent anticipation and shows great effort in run support. Kevin Johnson has good length and jumping ability to defend against jump balls. His over aggressiveness at times is concerning. He will try to over pursue and jump routes where he is very vulnerable to double moves. 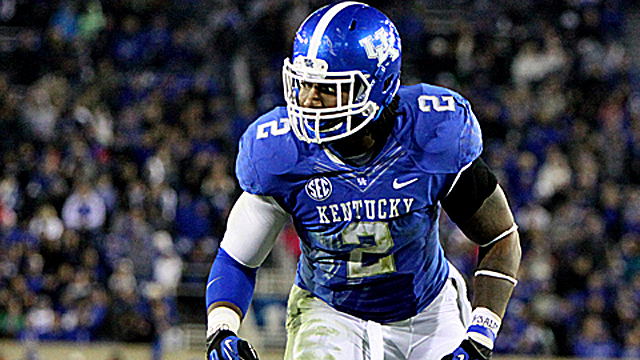 He also has a pretty slim frame where he could struggle at the next level in the run game. 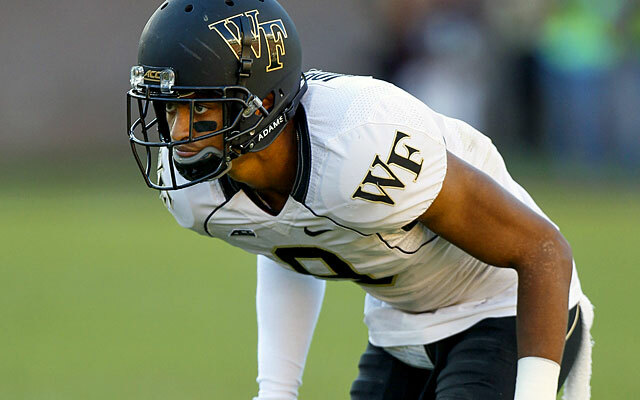 Overall though, Johnson’s length and quickness makes him a potential starter at cornerback. He will just need to be more patient with wide receivers routes and rely more on his quickness for him to succeed at the next level. 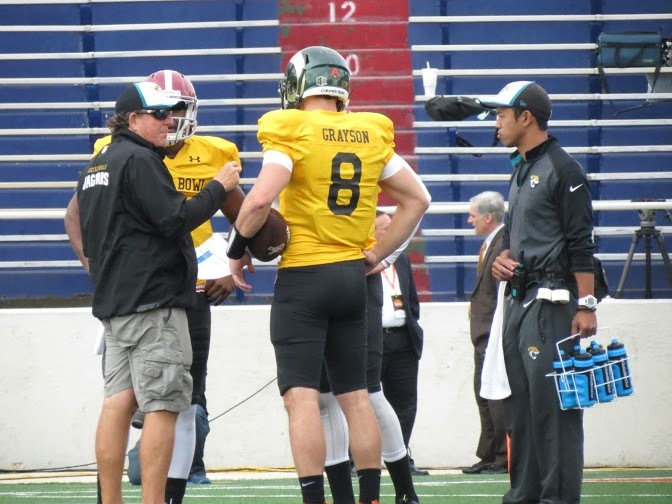 Garrett Grayson and Bryce Petty looked like the top of this Senior Bowl quarterback class. Grayson showed good accuracy and showed the ability to put good zip on the ball between defenders. At times he does force the ball and doesn’t have the strongest arm, but he does show good accuracy to be a NFL quarterback. Bryce Petty looks like a bit of a project with a good arm and accuracy. On the negative side Blake Sims looks more like a running back than a quarterback. He measured this week at 5’11” which makes it very difficult for a quarterback. Along with being shorter, he also doesn’t show consistent accuracy or a strong arm. Where Blake Sims does excel is in avoiding defenders and has a presence in the pocket. The quickness and shiftiness he shows in the pocket makes me believe that he can possibly be a NFL running back. 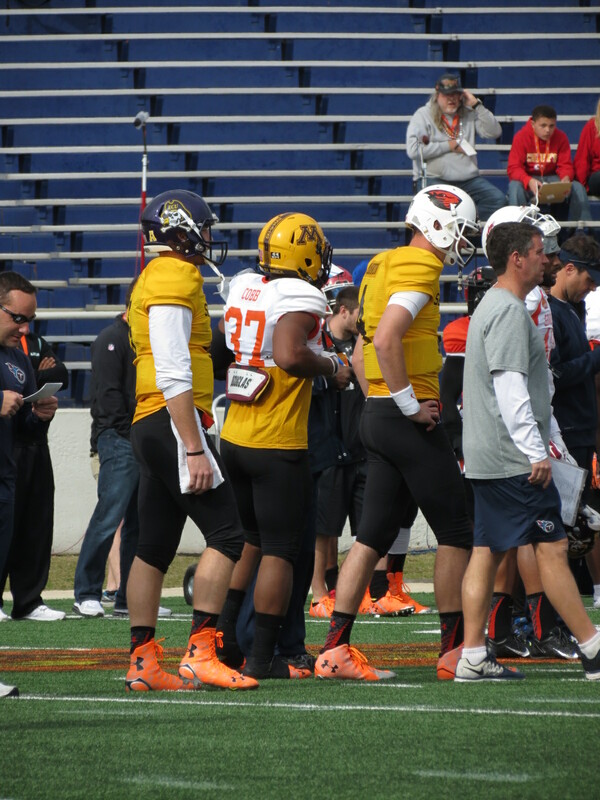 Overall this Senior Bowl Quarterback class was very underwhelming. It will be tough this year for a team in need of a quarterback as the overall quarterbacks in this draft is very weak. David Cobb from Minnesota stuck out as a standout player for me this week. He showed that he is an all-around back with the ability to receive out of the backfield and is very good in pass protection. Cobb is a bigger back at 5’11” 229 LBs, but shows quick, decisive running at that size. Ameer Abdullah is a tough runner, but did measure small at 5’8”198 Lbs. He struggled in pass protection due to being overpowered at his size. However as a pure runner and pass catcher out of the backfield, he was very impressive. David Johnson from Northern Iowa proved to be a very good receiver. He is a bigger running back at 6’1” 224 LBs and is a very tough runner. He has a little bit of a lack of shiftiness, but he can be a great complimentary back as a good receiver and tough runner out of the backfield. 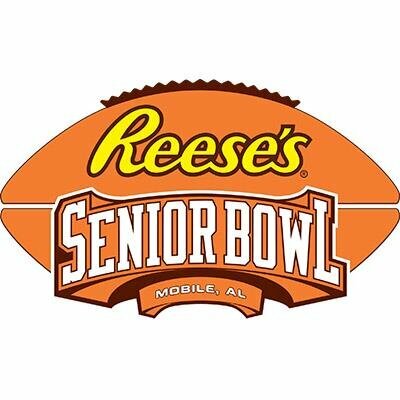 The wide receivers in this Senior Bowl class were solid during the week. There were a handful of standouts during the week and a few disappointing performances. Jamison Crowder from Duke was a surprise performer this week. 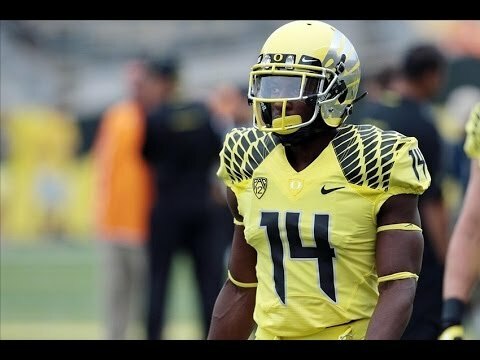 He reminded me a little bit of Brandin Cooks with his quickness and natural hands. One negative is that Crowder at times struggled to get separation, however with his natural hands and quickness he was one of the top performers. 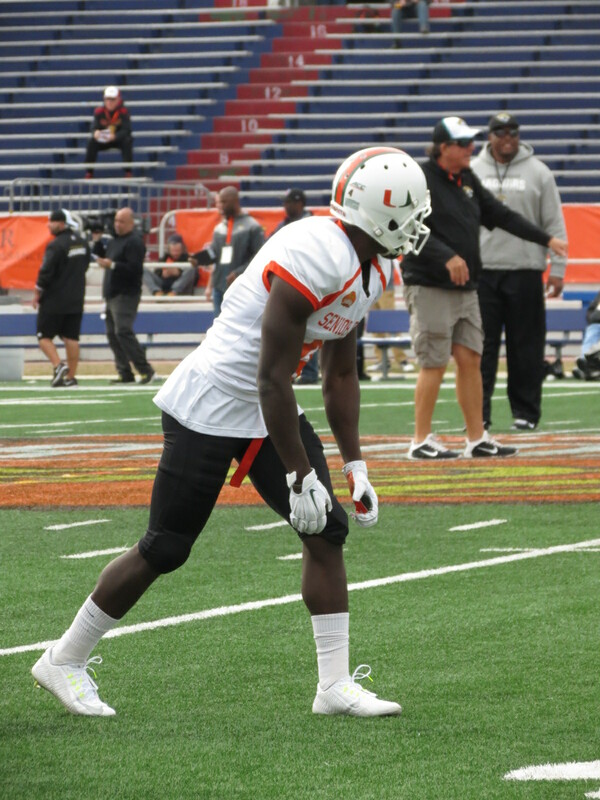 Phillip Dorsett looked like the fastest guy on the field and I would not be surprised to see this validated at the Combine. The Miami standout was a constant burner against the cornerbacks this week. He also showed good route running ability and natural hands. He only had 36 catches on the year and looks to be a great deep threat at the next level. 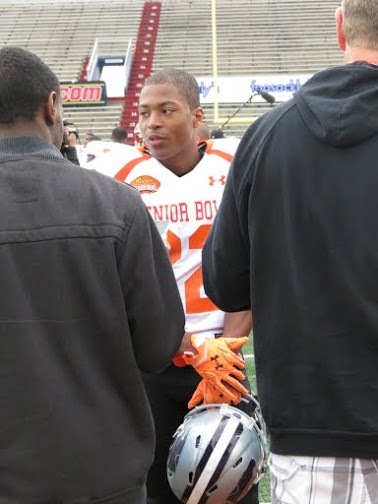 Tyler Lockett from Kansas State was one of my favorite players this week. Waiting for South team practice on Thursday, he was the first non-special teams player out of the locker room. Along with being first on the field he was also one of the last to leave signing autographs for kids and answering all the media’s questions. Lockett is just a guy that gets it also, he said in the media interview of him that he was willing to play punt return, kick return, gunner, and whatever a team wants him to play. He compared himself to Andrew Hawkins as a small guy who can be productive. Lockett is a high character guy, but he also showed natural hands and was a great route runner. 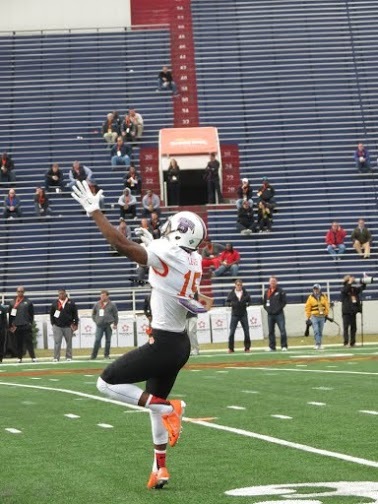 At 5’10” 181 LBs, Lockett looks like he can be a very productive slot receiver. He is definitely a guy you root for at the next level. Dezmin Lewis from Central Arkansas solidified himself as a mid to late round pick this week. Lewis displayed excellent hands and used his size well. At 6’4” 215 LBs Lewis has a huge catching radius, the one question when it comes to him is his speed. I was disappointed with Ty Montgomery this week. 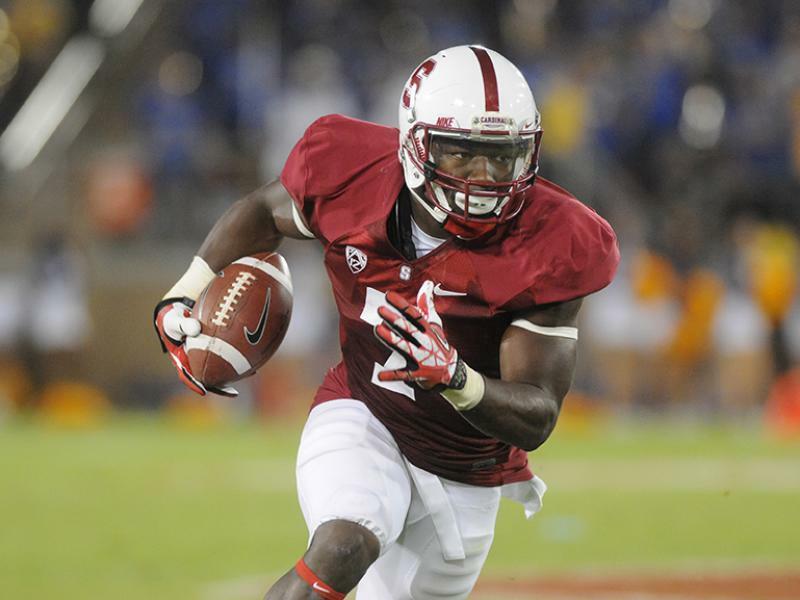 The Stanford Cardinal was more of an athlete than a wide receiver as he struggled creating separation and catching the football. He fought the ball during practice and did not have natural hands. He is fast and quick and I believe will excel as a punt/kick returner. 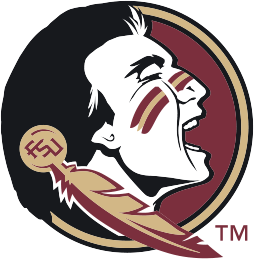 Rannell Hall from Central Florida is a player who I did not know a ton about coming in. 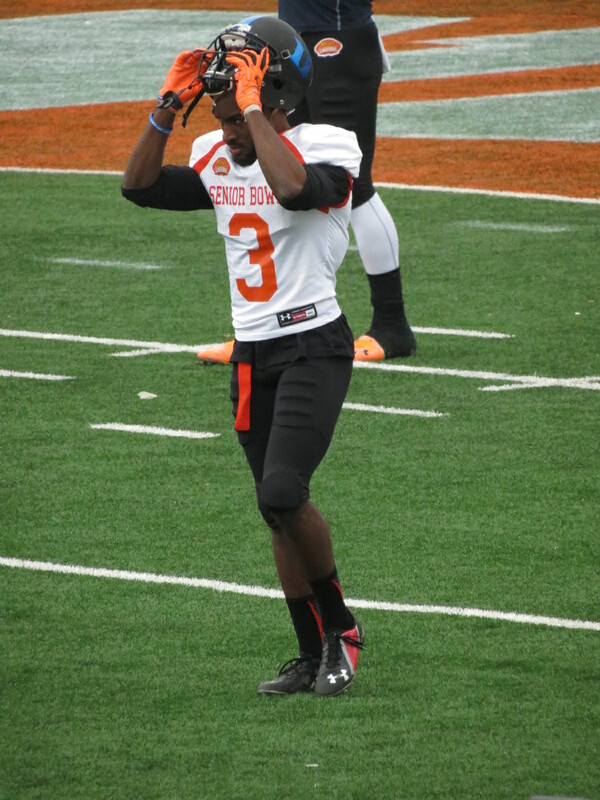 Hall however showed very good body control and consistently made tough catches. He was able to get pretty good separation during the week and looks like a very good late round prospect. I will need to go back and look at some of his tape to further my evaluation of him. 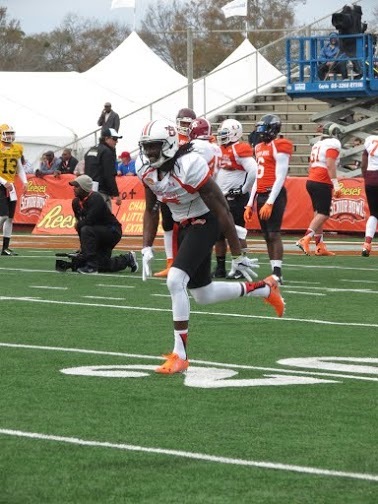 Clive Walford was one of the better players at this year Senior Bowl and the top tight end. Walford was quick in his breaks and was able to get great separation in coverage. He also showed very good hands and great body control going for the ball. The Miami tight end did go to the ground a few times too easily, but was a definite standout this week. Nick Boyle from Delaware proved to be a really good blocker this week. 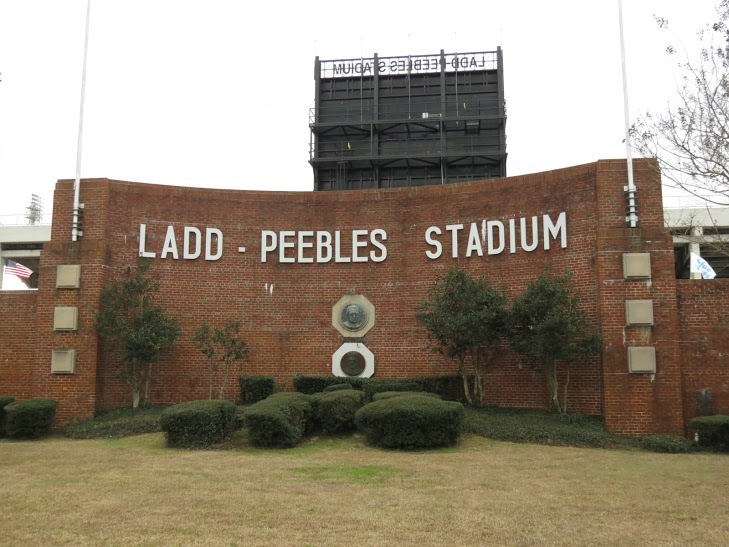 He was a big body tight end who also proved to be a reliable receiver. Boyle looks like a good mid to late round pick as a tight end with good size at 6’5” 267 LBs. La’el Collins looked to be the top Offensive lineman of the week. He showed a great tenacity when it came to run blocking and finishing his blocks. He looked pretty good in pass protection with decent feet. He reminds me a lot of Zach Martin of last year as a premium road grader. The decision for this offensive lineman will be whether to keep him at offensive tackle or kick him inside to offensive guard. 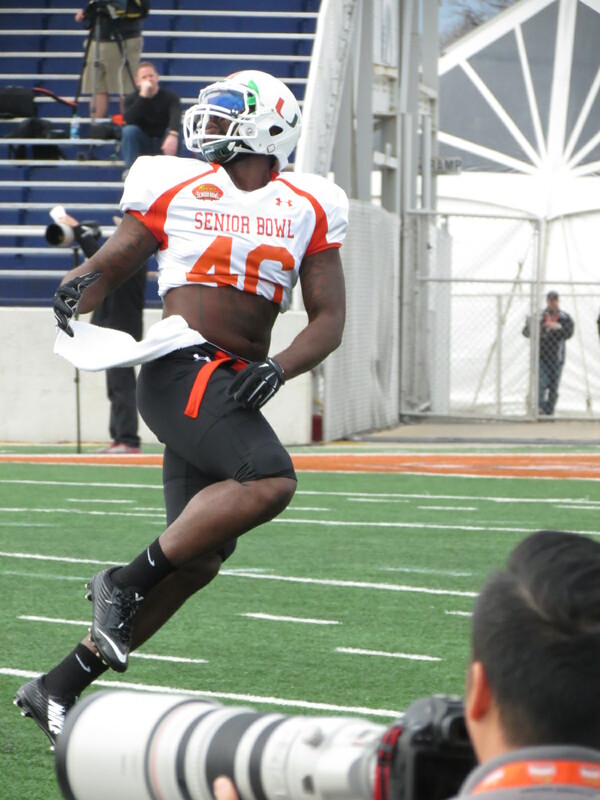 T.J. Clemmings an Offensive tackle from Pittsburgh had a lot of buzz going into the Senior Bowl week. It was almost unfair expectations for a guy who has only played offensive lineman for 2 years. Clemmings struggled in pass protection drills and looked like a project at offensive tackle. He has all the traits you look for, but it is a very raw prospect. Where Clemmings excels is run blocking, he is able to control defenderson the ground game. 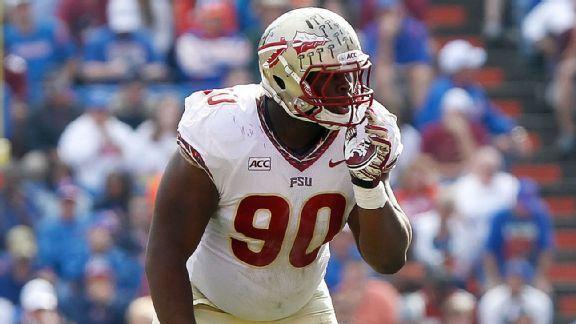 Even being a project at offensive tackle, he could still be a first round pick. Rob Havenstein was a really good surprise this week. 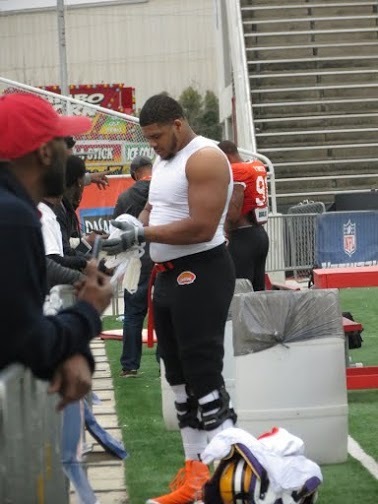 The Wisconsin Badger product is a massive tackle at 6’7” 332 LBs who looks to have a good career at the next level. He has good feet in pass protection and performed well against defensive ends during practice. Havenstein projects at the next level as a starting right tackle. Ali Marpet was a mystery prospect this week from small school Division III Hobart College. Marpet showed really good movement skills at guard this week and proved to be draftable. One thing he needs to improve on is his ability to anchor against bigger defensive lineman. 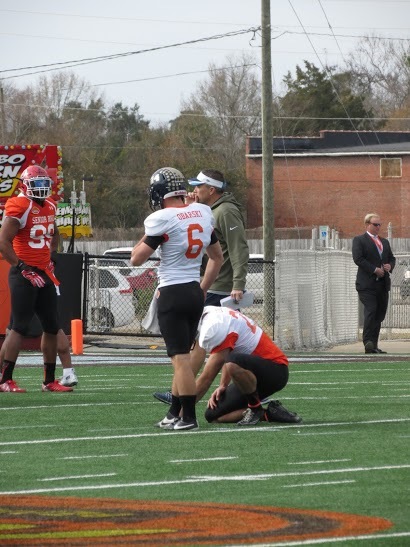 Overall though Marpet was a pleasant surprise at the Senior Bowl week. Jamil Douglas played offensive tackle for Arizona State during the season, but was moved into guard for Senior Bowl week. He was very impressive in the pass protection drills with the ability to anchor against interior lineman. Douglas was solid all week and I believe was one of the top interior lineman during the week. Trenton Brown is a giant at 6’9” 376 LBs. The Florida Offensive tackle showed surprisingly good feet for his size. 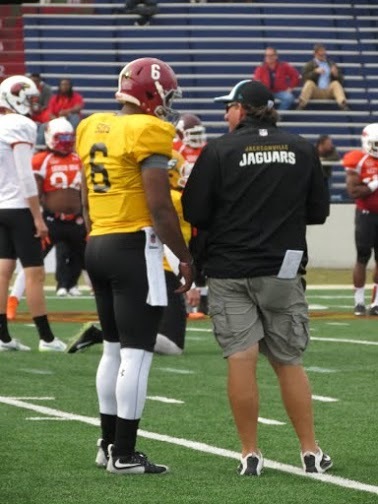 During one on one drills, he was very tough to get around with his size and arm length. Brown is a guy I need to reevaluate on tape as I look more into how well he moves in games. Tom Obarski from Concordia-St. Paul surprised many with his power and accuracy this week. In special team drills he consistently hit 50 yard field goals with plenty of room to spare. Justin Manton from Louisiana-Monroe also looked good this week. He had plenty of accuracy and really excelled at kickoffs. The Deadline to declare for the draft is today, January 15th. 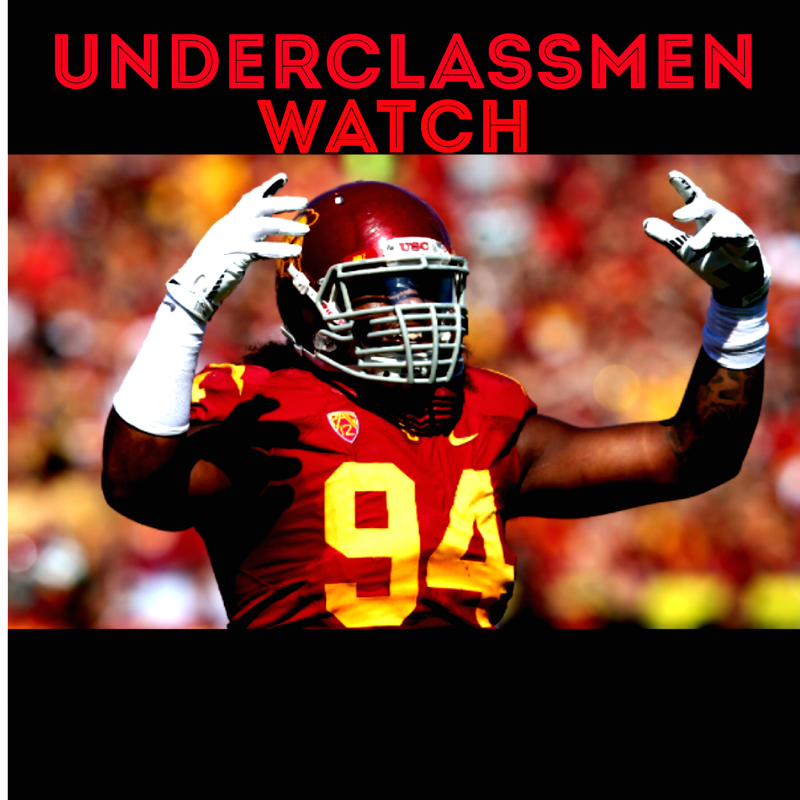 You can look at the final underclassmen list up top on the NFL Underclassmen Tab. 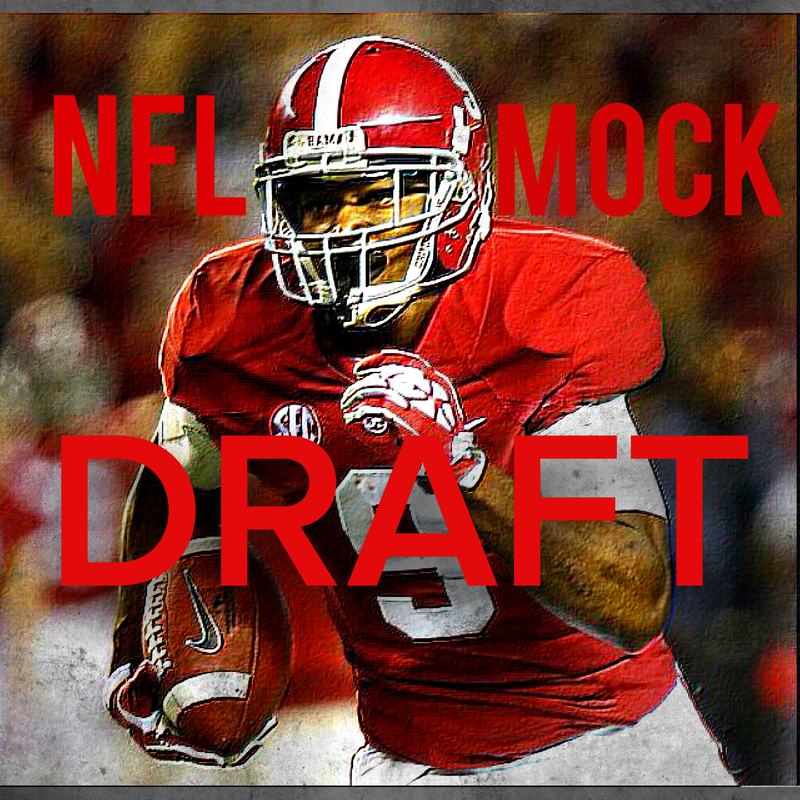 After this deadline make sure to keep an eye out for the Draft Fever Big Board, Mock Draft, and Positional Rankings. 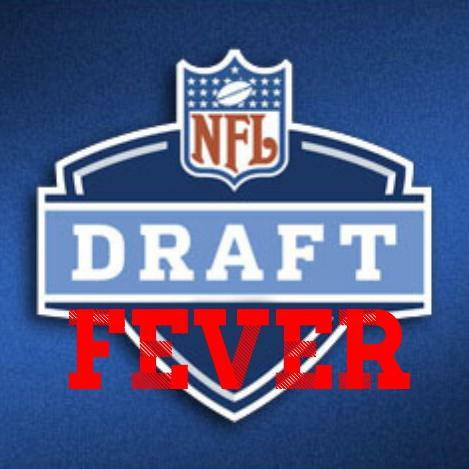 You can follow me on twitter for more details @nfldraftfever. I’m hard at work finalizing these lists. So far 46 underclassmen have declared for the NFL draft. The group is already led by potential first round picks Leonard Williams, Randy Gregory, Shane Ray and many more. 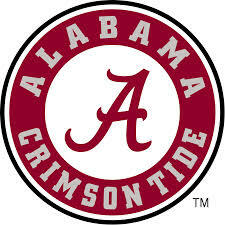 Click the link below to see the full list of College Football’s elite that have declared. Underclassmen have until January 15th to declare for the draft.